Allied travel is all about what you pack — or maybe what you don’t. Between the vast differences in climate and weather across the nation, preparing for your next assignment takes care and a little research to get it just right. Planning ahead is perhaps the single most important aspect of traveling, although over-planning and packing may only hold you back. As with any degree of relocating yourself, read up on the weather and the accommodations you’ll have at your destination. Sites like Wunderground.com provide 10-day forecasts for specific locations. You’ll also want to make sure you know which amenities your housing will include – things like hair dryers, towels, sheets, etc. If these things are not included, you may want to look into purchasing travel size or packable versions of these items, or just scurry to your local Walmart or Target once you arrive. Before you even consider stepping foot on a plane, make a comprehensive checklist that will cover all of your basic needs like preparing for the assignment’s dress code, calculating the cost of your basic necessities and anything else that you will need to keep things running smoothly. Once your ready for the airport, it never hurts to brush up on the TSA’s regulations to learn what you can and cannot fly with in your suitcase. These rules change and evolve periodically, so it’s best to update your knowledge if it’s been a while since your last flight. Now when it comes to clothing, I’m sure we’re all guilty of throwing an extra shirt or blouse into the mix, but that can only add to the complexity of your luggage. Try to pick clothes that are relatively neutral or have a probability of being matched with each other. If you can wear something all day and into the night, you’re doing it right. 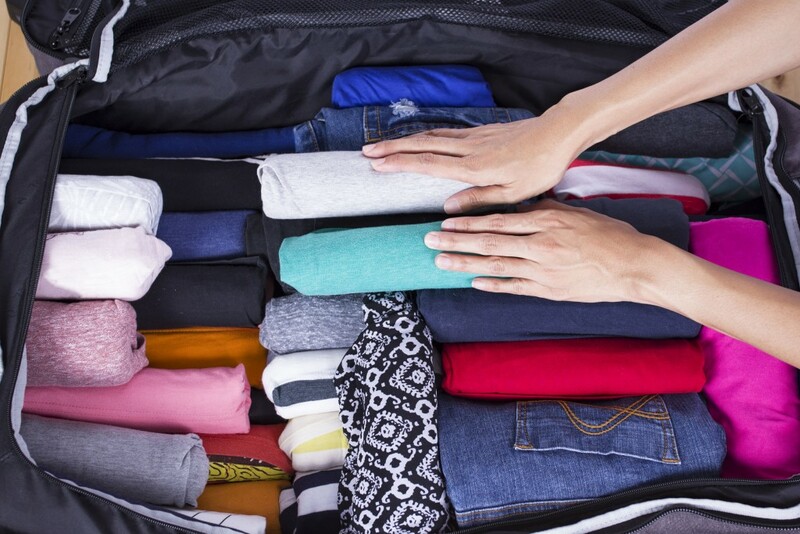 Rolling your clothing can maximize your luggage. Try to pack no more than 3 pairs of shoes, always making an effort to wear the heaviest pair for the sake of keeping your luggage weight as low as possible. Again, neutral colors are the best, and definitely don’t sacrifice comfort for style. In most cases, functionality is your friend. Minimize the amount of accessories you pack, but don’t under prepare should a somewhat formal event or dinner arise. On that same note, you’ll want to avoid bringing heavy coats, unless of course you’re up against the Alaskan tundra or a similar biome — otherwise try layering for maximum warmth and minimal hassle. If you’re bringing electronics (and it’s almost impossible not to) try finding a universal charger for your devices to reduce any wasted space. It’s also useful to wrap your cords and adapters with rubber bands to avoid the dreaded tangled-wad of cables, headphones, and chargers. 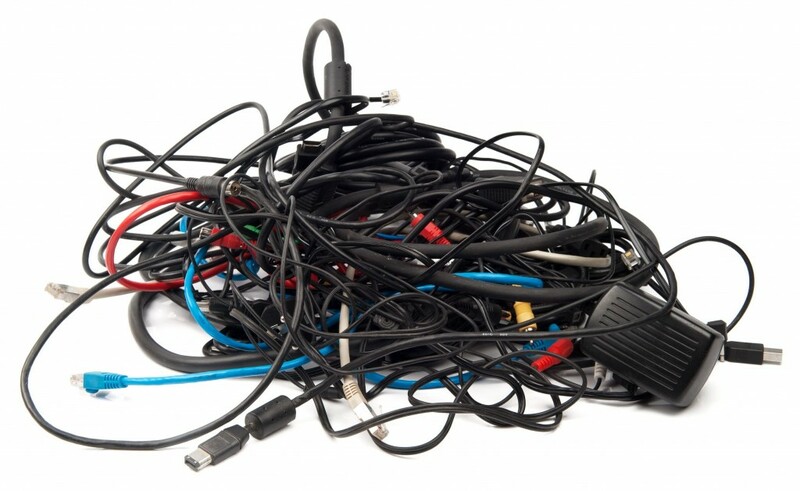 Avoid charging cable mishaps by keeping things orderly with rubber bands. Packing smaller items can be easy, but finding them in your bag is a nightmare. To eliminate wasted time looking for a small tweezers or those damn floss-picks, place your things in small sandwich bags or designated containers. This can also prevent items prone to leakage turning your iPod minty-fresh with toothpaste, or smearing deodorant on the screen of your kindle. Just a thought. Where ever your next allied travel assignment takes you, these tips and tricks will keep you traveling like a seasoned veteran… even if you’re just a rookie!